One man's vision in Moscow, Russia in 1995. 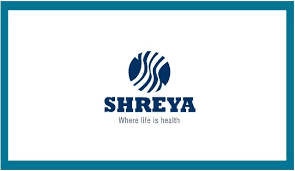 The one man vision with a humble beginning of Distribution & Marketing of Pharmaceutical business in Russia ultimately led to the formation of Shreya Life Sciences Pvt. Ltd. which was established in India 2001. Now Shreya has business operations in both Domestic and International markets viz. India, Russia, CIS Countries,South East Asia, Africa & Latin America. The strengths developed over the years: the strength of our people, partners and partnerships, which have been the essence of growth at Shreya, has positioned us for the journey ahead.